Southeast Asia: Victors of the trade war? The latest round of tariffs imposed by the Trump administration on US$200 billion worth of Chinese goods was met with a similar tariff on US$60 billion worth of American exports to China. Trade tensions between the two have grown more hostile of late with no sure signs of either one backing down. 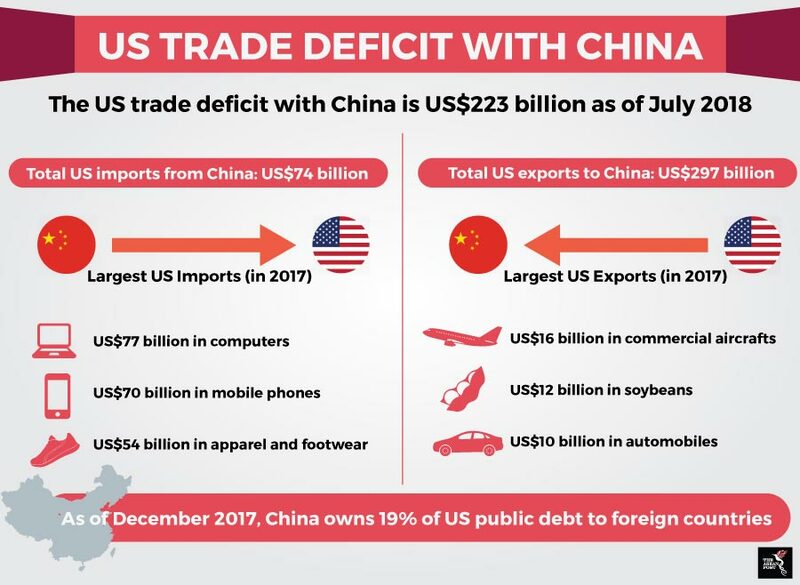 As of July 2018, the United States’ (US) trade deficit with China stands at US$223 billion according to the US Census Bureau. Amid the uncertain global trade environment created by the spat between these two superpowers, observers have pointed to Southeast Asia as a possible “winner” in this trade war especially as Chinese firms start to shift their production bases to Association of Southeast Asian Nations (ASEAN) member states like Vietnam, Thailand and Malaysia to evade the effect of these new tariffs. According to Manu Bhaskaran, Chief Executive Officer (CEO) of Singapore based independent research and advisory firm, Centennial Asia Advisors, manufacturers would most likely shift production destined for the US market outside China while retaining production for export to other markets still in China – wherever possible. He opined that production had already been moving – especially low-value and labour-intensive work such as those related to the garment and footwear industries – to countries like Vietnam and Cambodia. “This was more a result of rising Chinese costs. Now that relocation might expand to other sectors and accelerate if the next few months show clearly that the US-China trade spat is a long term one,” he explained. According to a survey by the American Chamber of Commerce China and the American Chamber of Commerce Shanghai, approximately one-third of more than 430 American companies in China have or are considering moving their production bases elsewhere to negate the effects of tariffs. “There are clusters of manufacturing activity in the eastern seaboard of Thailand, the Penang-Kulim corridor and the Iskandar Region in Malaysia which are globally competitive and could offer global manufacturers a value proposition close to what they can get in China,” Bhaskaran further remarked. In the long term, a prolonged trade war spells bad news as countries engage in retaliatory measures which then lead to a downward spiral of confrontation. After all, the net effect of a trade war is that global trade contracts will deal a blow to the primarily export-oriented economies of Southeast Asia. Moreover, Trump’s incessant attacks on the World Trade Organisation (WTO) – even threatening to pull out from it – risks weakening the integrity of the institution which sets and enforces global trading rules. This could open up an exploitable avenue for Trump to continue “bullying” smaller economies in the name of trade imbalances which would only further harm the global trade environment. Nevertheless, some remain relatively more bullish about trade prospects in the region as Trump continues his protectionist tirade on the global trade order. Global investment firm, KKR & Co seeks to increase its investments in Southeast Asia as firms look to diversify supply chains to skirt levies caused by the trade spat. Last year, it pumped US$250 million into Vietnam-based Masan Group and in its branded meat platform, Masan Nutri-Science. It is also banking on the region’s favourable demographics, low production costs, improving infrastructure and growing middle class which are seen as some of the many growth drivers attracting investors. A recent study by the McKinsey Global Institute revealed that the ASEAN region is home to eight of 18 developing economies that averaged at least 3.5 percent annual per capita gross domestic product (GDP) growth over 50 years or five percent annual growth over 20 years. Undergirding this exceptional performance has been a pro-growth agenda, including forced savings and the growth of financial institutions. Moreover, capital accumulation and positive domestic and external demand have been prime growth drivers. The role of large companies – those with upwards of US$500 million in revenue – is also not to be understated. Revenue from large firms equalled 37 percent of GDP in ASEAN countries, compared to 28 percent among emerging-economy peers. On top of that, they have also supported the development of small and medium-size enterprises (SMEs) via purchasing and subcontracting. In the vast expanse of opportunities afforded by the region’s active participation in the Fourth Industrial Revolution, leaders have been urged to focus on digitally driven productivity, a reinvented labour force, and infrastructure development. With the right implementation of such a vision, ASEAN member states could continue to outperform, nearly doubling the region’s GDP to around US$5 trillion from the current US$2.8 trillion. Can Southeast Asia weather a trade war?